Who is white, and why should we care? There was a time when the immigrants of New York City's Lower East Sidethe Irish, the Poles, the Italians, the Russian Jewswere not white, but now ';they' are. There was a time when the French-speaking working classes of Quebec were told to ';speak white,' that is, to speak English. 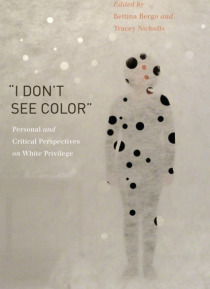 Whiteness is an allegorical category before it is demographic.This volume gath… ers together some of the most influential scholars of privilege and marginalization in philosophy, sociology, economics, psychology, literature, and history to examine the idea of whiteness. Drawing from their diverse racial backgrounds and national origins, these scholars weave their theoretical insights into essays critically informed by personal narrative. This approach, known as ';braided narrative,' animates the work of award-winning author Eula Biss. Moved by Biss's fresh and incisive analysis, the editors have assembled some of the most creative voices in this dialogue, coming together across the disciplines. Along with the editors, the contributors are Eduardo Bonilla-Silva, Nyla R. Branscombe, Drucilla Cornell, Lewis R. Gordon, Paget Henry, Ernest-Marie Mbonda, Peggy McIntosh, Mark McMorris, Marilyn Nissim-Sabat, Victor Ray, Lilia Moritz Schwarcz, Louise Seamster, Tracie L. Stewart, George Yancy, and Heidi A. Zetzer.